Conversation & tutoring sessions packages for a very interesting price. — To attend the sessions you need an internet connexion and a webcam. Don’t worry, we’ll first meet on Skype in order to check if your connexion is ok. It will also be the opportunity to meet personnaly and to ask me any question you have about the sessions, courses, my teaching style, etc. — You’ll have to buy your first sessions seperatly (except if you buy a special offer conversation package). Once we are sure we want to work together in the long term you’ll be able to buy 10 sessions packages. — You can reschedule each lesson once (except special offers packages) and you must do it at least 24h in advance. — 10 LESSONS packages have 3 months availability (except special offers). — A0-A1 students. I usually prefer to work with students who already know basic French / Spanish to be able handle at least a very simple conversation. 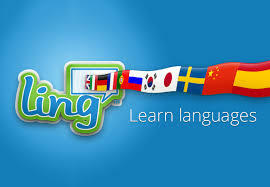 I only work with highly motivated beginners with successful experience in language learning. — Schooling support for teenagers. Obbligation and learning process don’t match! If your kid loves French / Spanish and wants to learn more and to practice, then I’ll be happy to help him/her! But my vision of learning is totally different from what school usually expects. If he doesn’t like it and you just want him to get better grades or to pass an exam but it’s not his decision I’m sorry to say I’ll have to decline your request. — I don’t give lessons to kids. I’ve already worked with kids on-line but I don’t think virtual interaction is the better way to respond to their needs. I can make an exception if your kid and you already speak the language and if at least one adult gets involved in the sessions to interact with him / her.